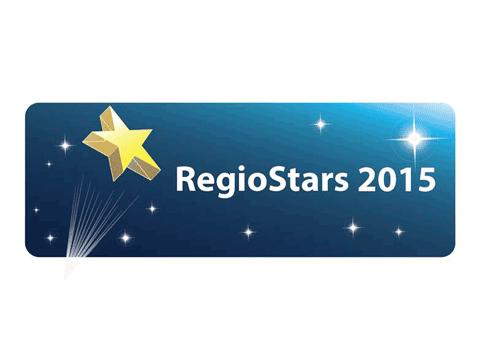 The European Commission announced today (26 June 2015) the finalists for the RegioStars 2015 awards which honour Europe's most inspirational and innovative regional projects supported by EU Cohesion Policy Funds. An independent RegioStars Awards Jury, led by MEP Lambert Van Nistelrooij as Jury President, selected 17 finalists from 143 entries on the basis of four key criteria: innovation, impact, sustainability and partnership. Commenting on the selection, European Commissioner for Regional Policy Corina Creţu said, "I congratulate all finalists, as those projects selected by the Jury serve as best practices examples for other regions and cities of the kind of investments we want to see more in the future. This year's finalists are model projects in SME growth, energy efficiency, social inclusion, and urban development, all with the aim of improving the quality of life of their citizens. Being a finalist for the RegioStars Awards is not only a quality label designating a great project, it is also international recognition for regions and cities for their innovative and creative approaches in the use of EU funds." The finalists come from regions and cities in 15 Member States: Austria, Bulgaria, Czech Republic, Denmark, France, Greece, Hungary, Italy, Ireland, Poland, Portugal, Romania, Spain, Sweden, and the United Kingdom. The four winners will be announced during the 2015 OPEN DAYS event in Brussels from 12 to 15 October 2015. Commissioner Corina Creţu and MEP Lambert van Nistelrooij will hand out the trophies and certificates to the winning projects during the RegioStars 2015 Awards Ceremony on 13 October at the "BOZAR" in Brussels. Project beneficiaries will also be available to speak to journalists before and after the ceremony. The previous 2014 RegioStars Awards honoured flagship projects in Paredes (North Portugal), Cornwall (UK), West Wales and the Valleys (UK) and the Polish region of Gdynia. The categories focused on SME innovation, bio-economy, creating jobs for the younger generation and sustainable urban public transport.